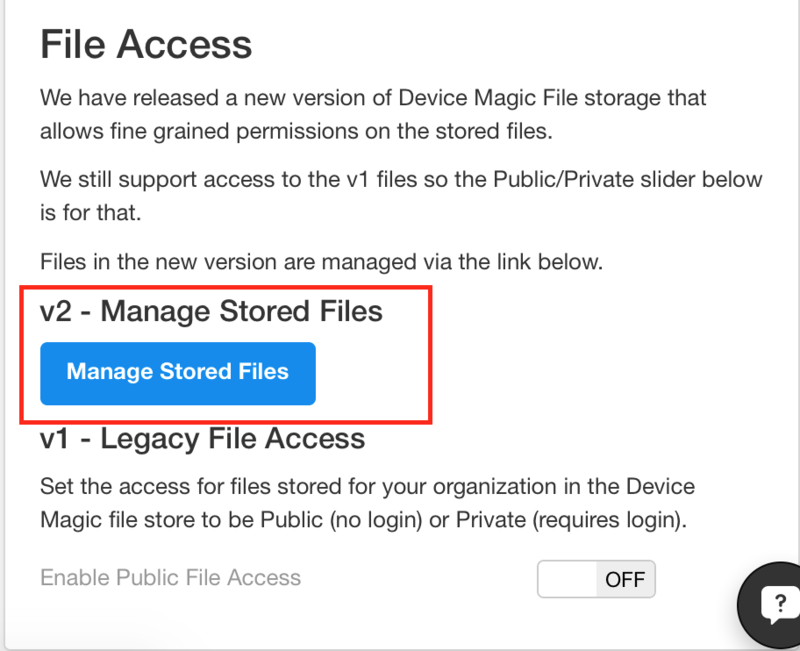 This article is to give an overview on the Device Magic File Storage access settings. 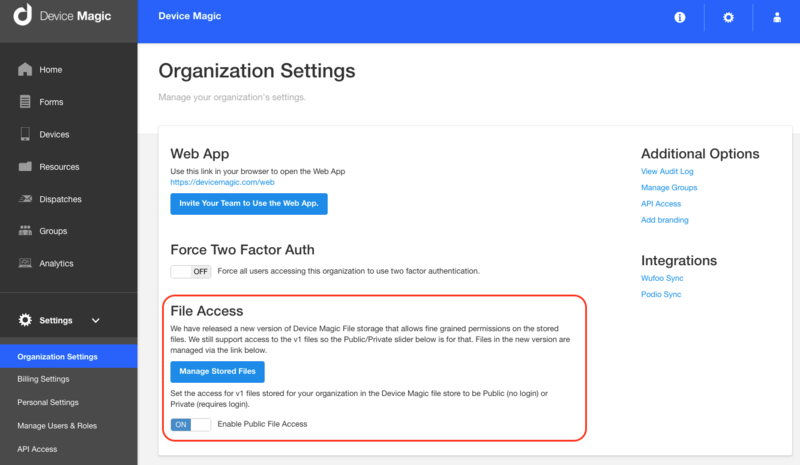 There are two settings that affect how files stored in Device Magic File Storage are accessed. 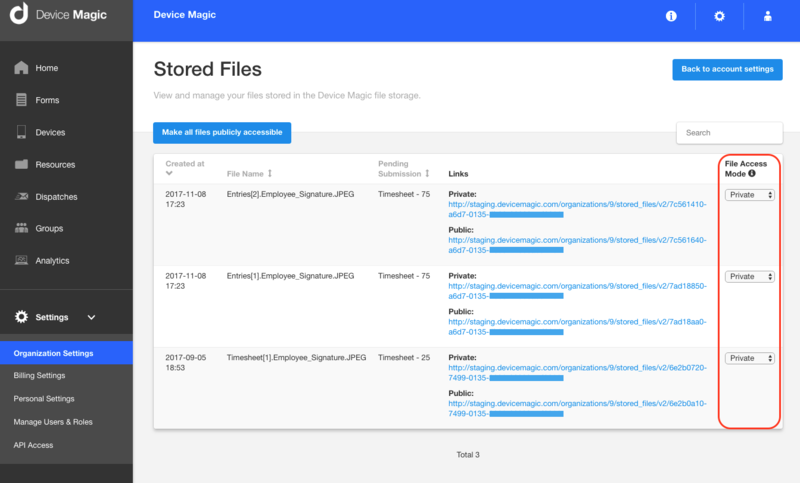 Version 1 is the old organization-level setting that controlled whether a user needed to be logged in to access files stored in the Device Magic File Storage. You can find this setting in your Organization Settings. It is either Enabled - in which case anyone can access files if they have the link. 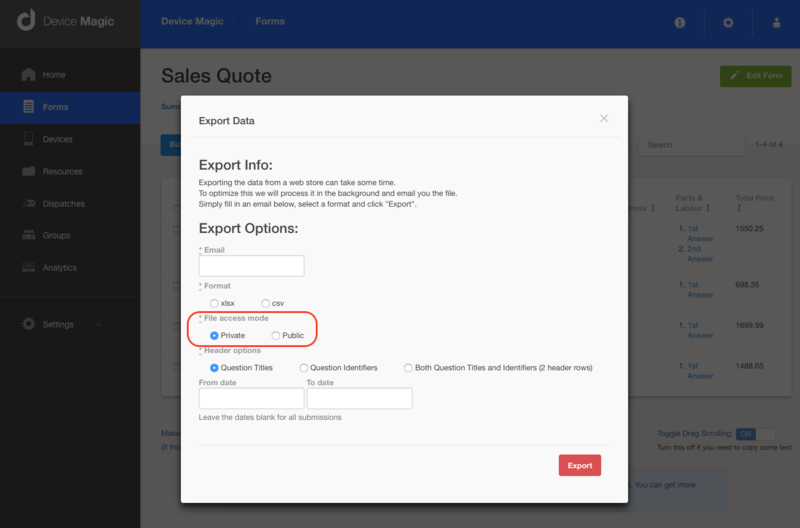 Or off - a user will need to be logged into your organization to be able to access the files. Version 2 is the newly released way to access the stored files. 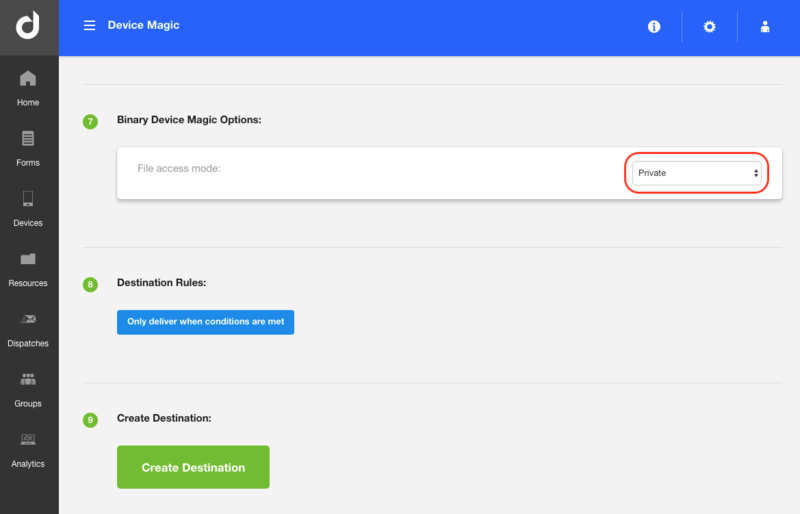 In version 2 each Destination / Device Magic Database export has its own Public/Private setting. Files generated by either of these functions will send the Public/Private link based on the setting. The Private link will always require a login to access. The Public link will be accessible without login if the file is set to Public. You can manage the files delivered by Version 2 from your Organization settings. Clicking the "Manage Stored Files" button will take you to a page where you can view and search all your stored files. You can edit he Public/Private setting on any of the files using the dropdown. Private: Both links will work but the user has to be logged in to view the file. Public: The Private link will require the user to be logged in, the Public link will let anyone with the link access the file. Full Public: Both links will let anybody access the file.